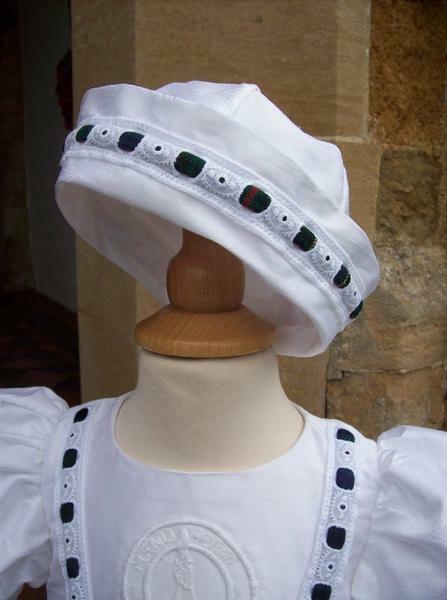 This is the latest addition to the Scottish Collection and it is a really delightful example of Classic finery. 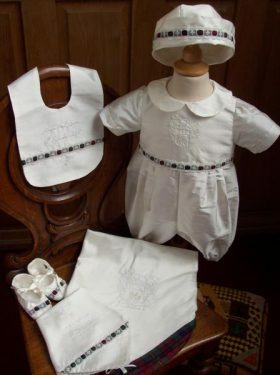 The Catriona Christening Gown is made from 100% pure silk dupion. 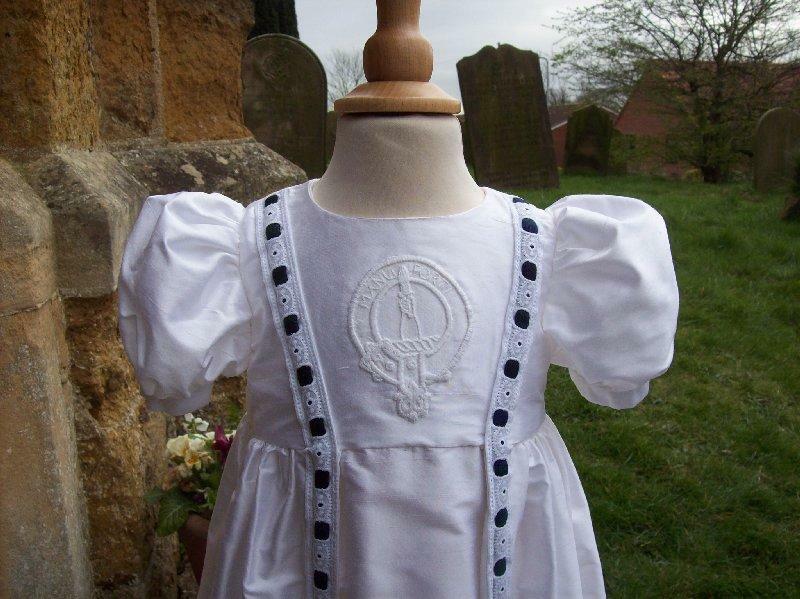 As with the other gowns in the Scottish Collection, the bodice has been hand embroidered with the family clan crest. 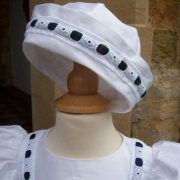 The neckline is left plain so the eye is drawn to the embroidery. Puff sleeves compliment the effect. The real beauty in this gown is the tartan trim. 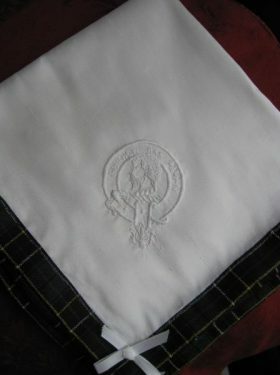 The family tartan has been inserted in beautiful Swiss cotton insert lace. This then is stitched along the bodice and then forms the front of the beautiful inverted pleat on the skirt. This gives a lovely illusion of the skirt having an underskirt and an overskirt. 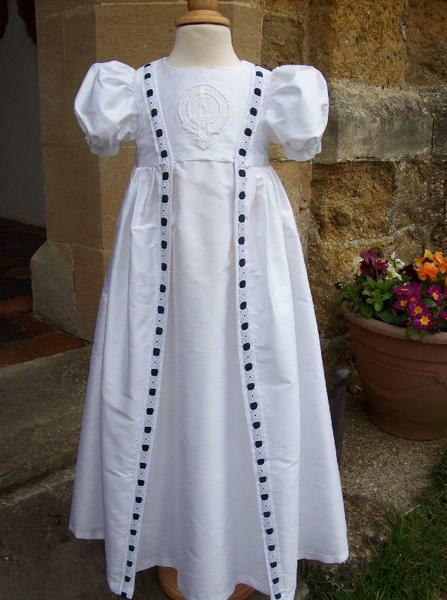 All in all a classic and elegant gown, great for Spring and Summer baptisms. 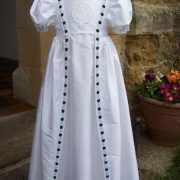 The gown is available in white or ivory silk dupion. 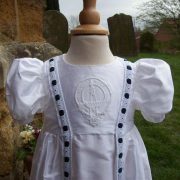 It can be decorated to represent any Clan and the relevant crest, coat of arms or shield can be embroidered onto the bodice. 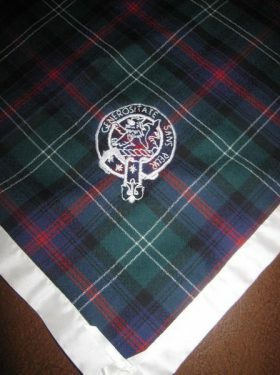 Your choice of tartan can be encorporated into any gown. 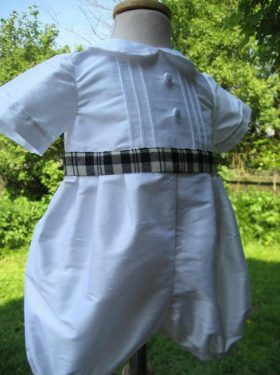 All Catriona Gown accessories are made to match the christening gown using the same silk fabric and matching tartan trim.